Lauri came to our office with over 10 years in office management experience. 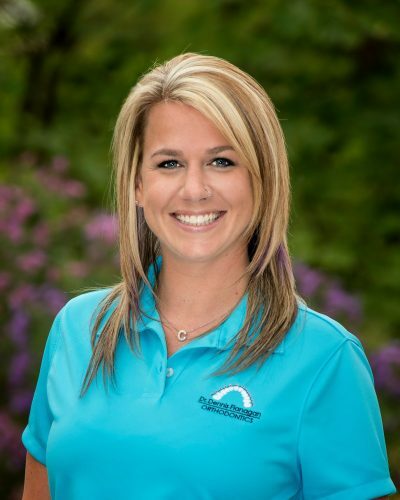 She started as an assistant for Dr. Flanagan and has since taken over as the New Patient Treatment Coordinator and Marketing Director, utilizing her management, graphic design and interpersonal skills to maintain the outstanding reputation of our office and educate the public on the benefits of specialized orthodontic training. Lauri is a social butterfly, so working one on one with all the new patients is right up her alley and the highlight of her day. Lauri and her husband Nat love to travel abroad and experience new things. They are both avid campers, athletes and love the outdoors. They share their home with their 3 furry children, cats Rupert and Meep and their German Shephard/Husky, Simza.